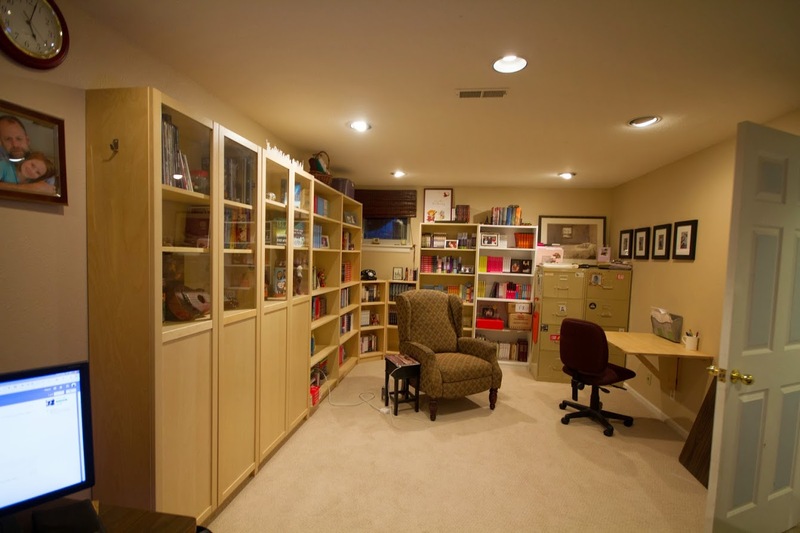 There are plenty of reasons but, at least when I first moved in, one of my favorite features was my office – a ‘study’ style room located right off the front entrance. 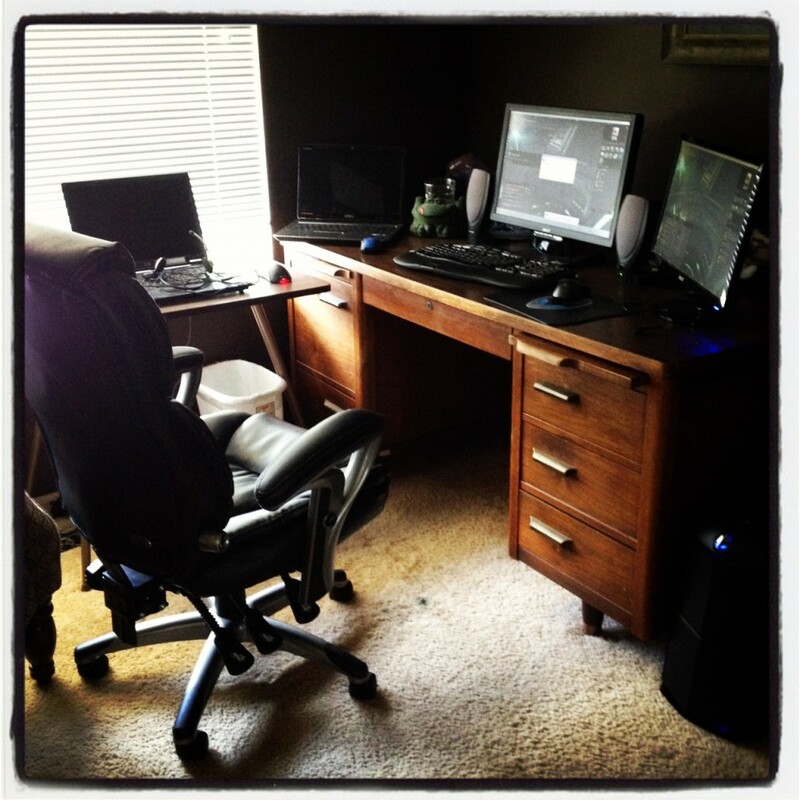 Here’s a shot of the desk, sometime around 2010 or so. The carpet got pretty worn out over time, but I was very happy with the ‘library’ feel of the walls, the nice window, and most of all the door. 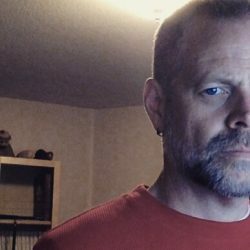 One of the most-viewed posts I’ve ever written was about how you don’t need Neil Gaiman’s gazebo to write, and I absolutely stand by that, but I do believe it really, really helps if you have a reliable way to shut out the rest of the world, and for me the best way to accomplish that is a solid door. That isn’t to say I’m a complete hermit. 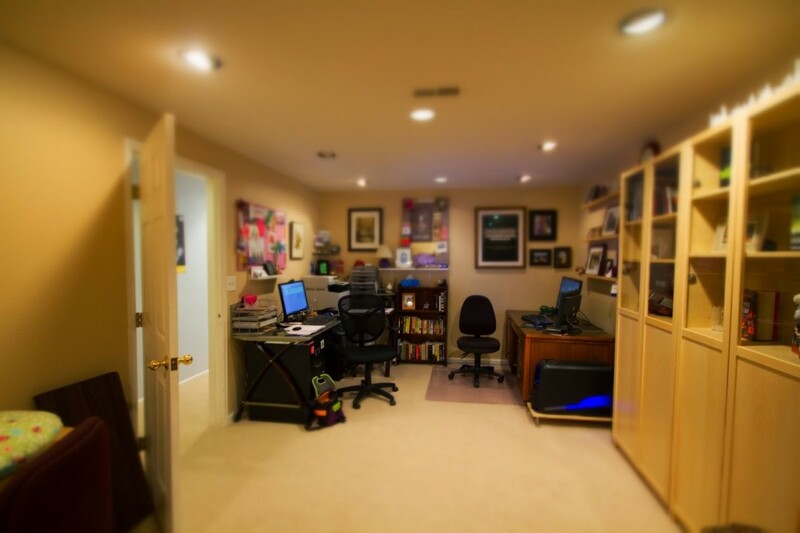 My office always had a second desk in it, for example, so Kate or Kaylee could hang out, but I did manage to keep it free of toys and the random cruft that seemed to accumulate in other rooms of the house. 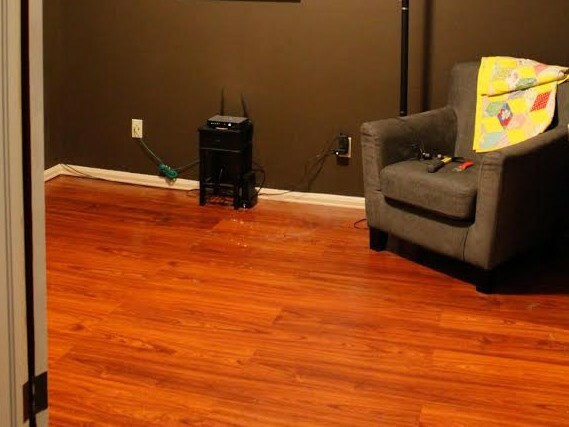 Thanks to Kate, I even got rid of the old carpet. The thing was, while our house has a lot of square footage, it’s always been distributed in odd ways. 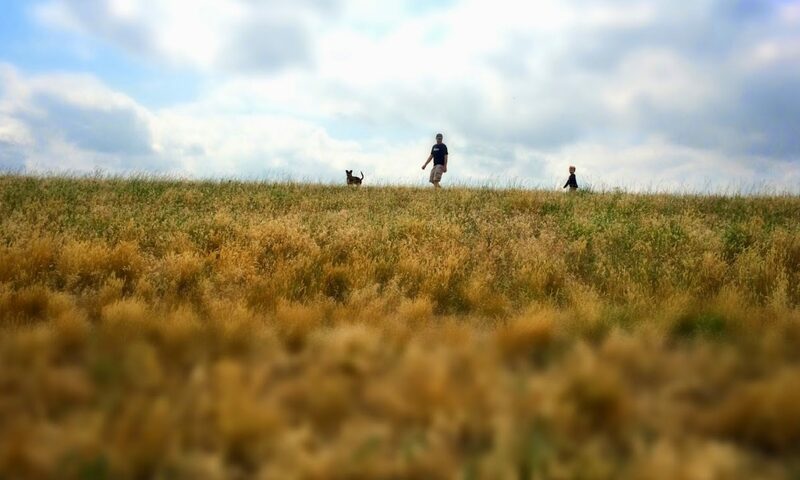 When I first moved in, there were two bedrooms, the office, a five-hundred square foot unfinished “utility room”, a room we weren’t allowed to call a bedroom for zoning reasons… and four living rooms. More than a bit silly. 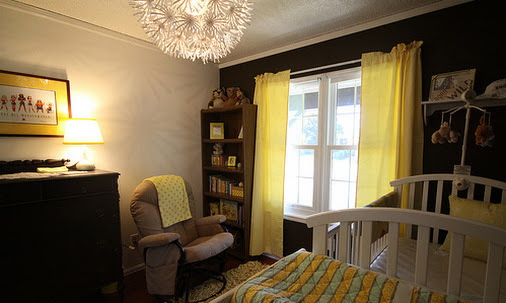 Man, we didn’t know what to do about Zoe’s room. Put her in with Sean? Bassinet in the master bedroom while we try to figure out something better? Eventually, I realized I had to give up my office. The office gets a new door, a paintjob, and voila. Very nice. Still, it’s a good thing she’s cute, because damn I loved that office. This move required some more shuffling elsewhere in the house. 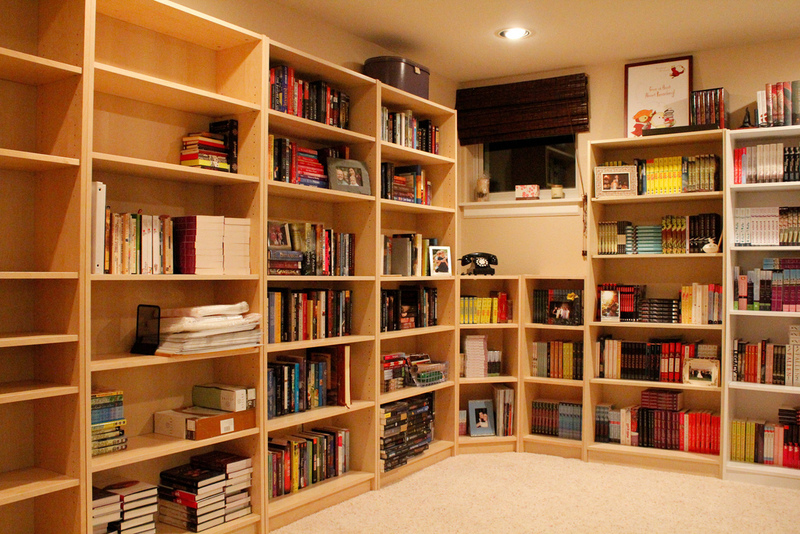 I moved the core elements of my office into the office downstairs, we gave up any illusion of having a semi-dedicated Guest space, and did quite a lot of work assembling bookcases for KT Literary 2.0. The end with our desks. See if you can tell with side is the guy who just moved in, and which is the business desk of a company that’s been running full-tilt for over five years. 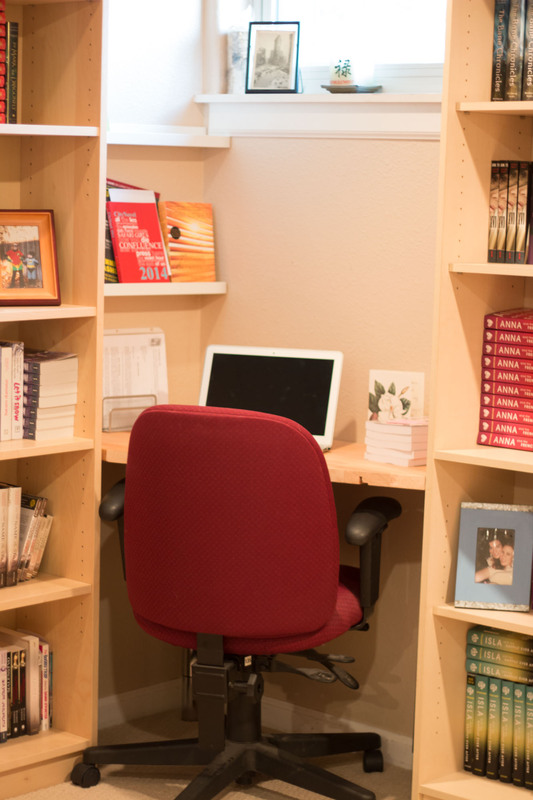 The end with Kate’s client books, and a hideaway desk that – at the time – we’d put in for use by Kaylee (on the weekends) and Kate’s then-assistant, Renee (now an associate agent) when she wasn’t working remotely. This has worked pretty well, even when I shifted to more contract work out of our home office. We used to joke that having me out at a company office for most of the week helped keep us from killing each other, but in practice it really hasn’t been that bad… due in part to the standing desk I built for myself (out in the main public space in the basement), where I tend to do most of my work during the day. Basically, everything was working pretty well. It wasn’t ideal, really, because while I had a place for my desk, I’d lost my door. Most of the time, I didn’t feel it, though. And then KT Literary expanded. Yikes. Don’t get me wrong: this is exciting and absolutely good news, but one of the reasons Kate and Renee and Sara were excited about the agreement was the fact they’d be able to work together a couple days every week. Scroll back up a few pictures. Do you see four desks in that office? For the first couple weeks, we solved this problem by setting Sara up at my desk. I keep my workspace obsessively sparse mostly clear of clutter, so it was quite simple to push the monitors, keyboard and mouse to the back of the desk and create more than enough space for a laptop. But Sara wasn’t comfortable, because she didn’t really have a space. And I wasn’t comfortable either, because (once again) I’d lost mine. Yes, I still had my standing desk during the day, but what had once been ‘my’ desk had turned into a co-working space, and that… bugged me. 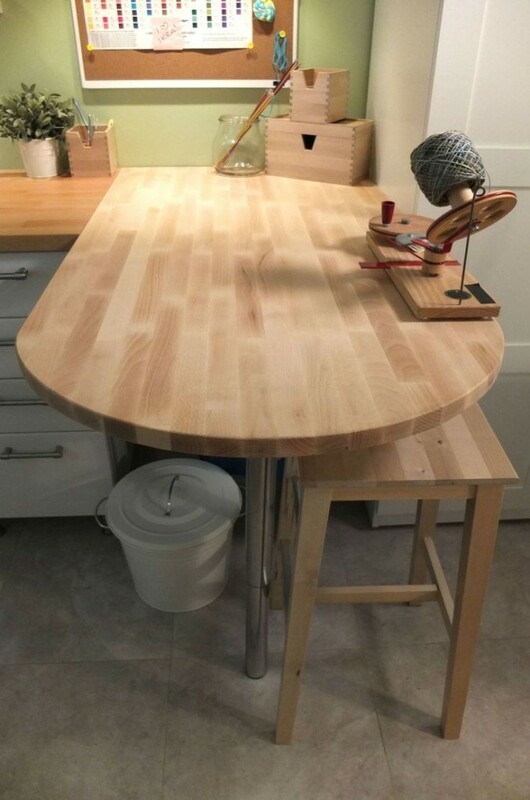 Didn’t help that my oldest kid was asking questions like “what do you need a space of your own for, anyway?” or “why not just put your computer in the laundry room on the sewing table?” Thanks for the sympathy, kid. 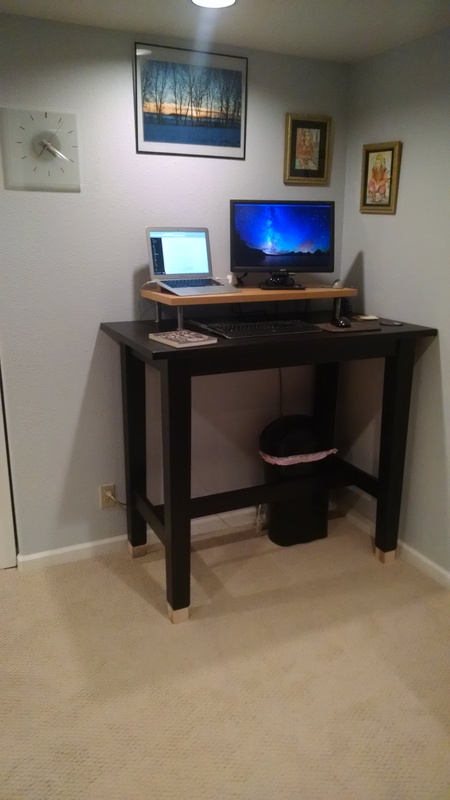 Kate and I talked about options, and had even contacted our tried-and-true contractor to get an estimate on putting up a new wall in the large main basement room to create an office out of the part of the space where I’d set up my standing desk. On the one hand, I’d once again have a space with a door on it. On the other (as I put it to my contractor), it felt like “we’ve run out of places in the house to kick me out of, so we need a new one.” Neither of us were entirely happy with that solution, and I’d spent several days looking at “tiny office” and “garden shed office” designs to see if I could come up with something… less bad. I mean, I like living well in the space provided, instead of just “going bigger”, and I felt as though there had to be some way we could just use the space we had, more efficiently. 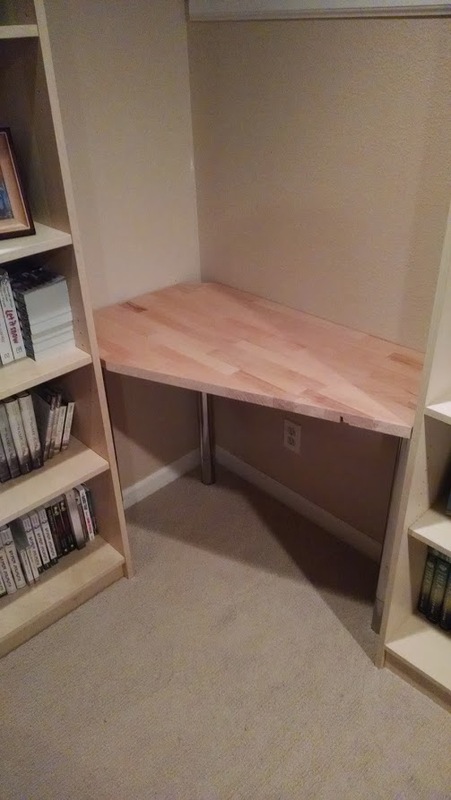 … a five-sided, three-legged corner desk. There was a little bleeding involved, and one permanently lost set of car keys (unrelated, as near as I can tell, but frustrating), but it came out pretty darn well. 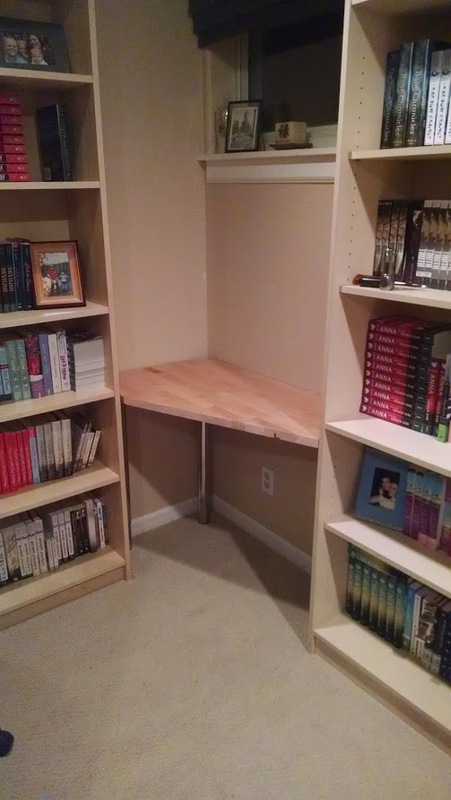 Throw in a couple low-profile wall shelves for showing off a book or three, and we have ourselves an office, with a desk in every corner. KT Literary 3.0. I’m not sure how long things will stay as they are – I still don’t have that door – but there are other ways to close the world out, and for now, for those two or three “everyone together” days a week, we’re pretty happy. Next PostNext "In the Canon MF8280’s world, paper has only one side. If paper has TWO sides in your world, this is the wrong machine for you."